Ever since I got hooked on my making mason jar cosies I knew I would probably end up making one for every season and holiday. 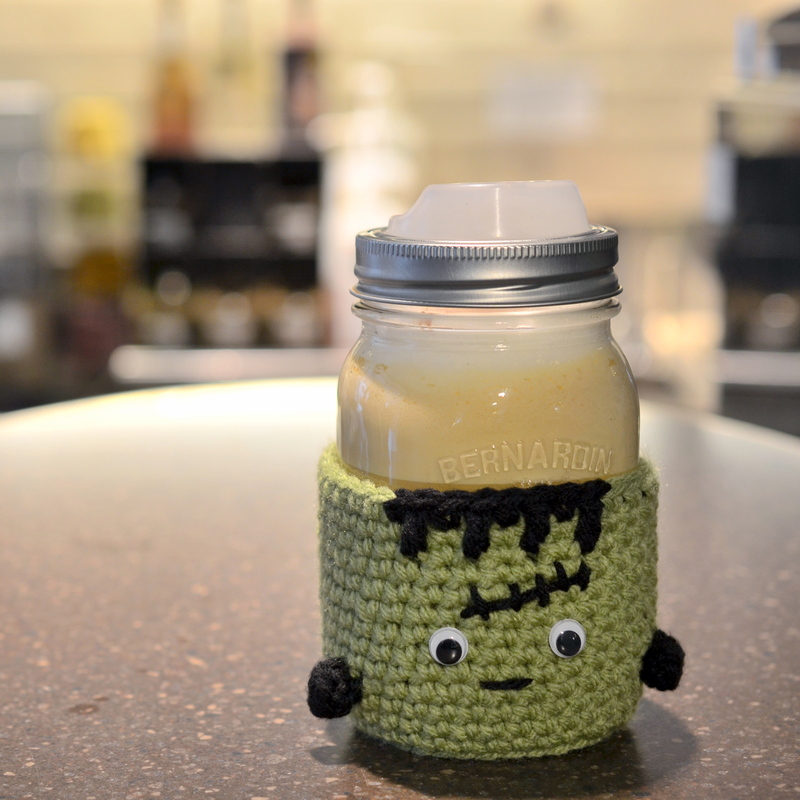 And because Halloween just happens to be one of my favourite celebrations I couldn’t pass up a chance to make something adorably scary, like this Frankenstein’s monster mason jar cosy. I also bought this reusable jar drinking lid by Cuppow, which is very awesome and BPA-free .Oh, and in case you were wondering, the mason jar is perfect for a tall (12oz) size pumpkin spice latte! I can never take a serious picture when Jay is behind the camera. 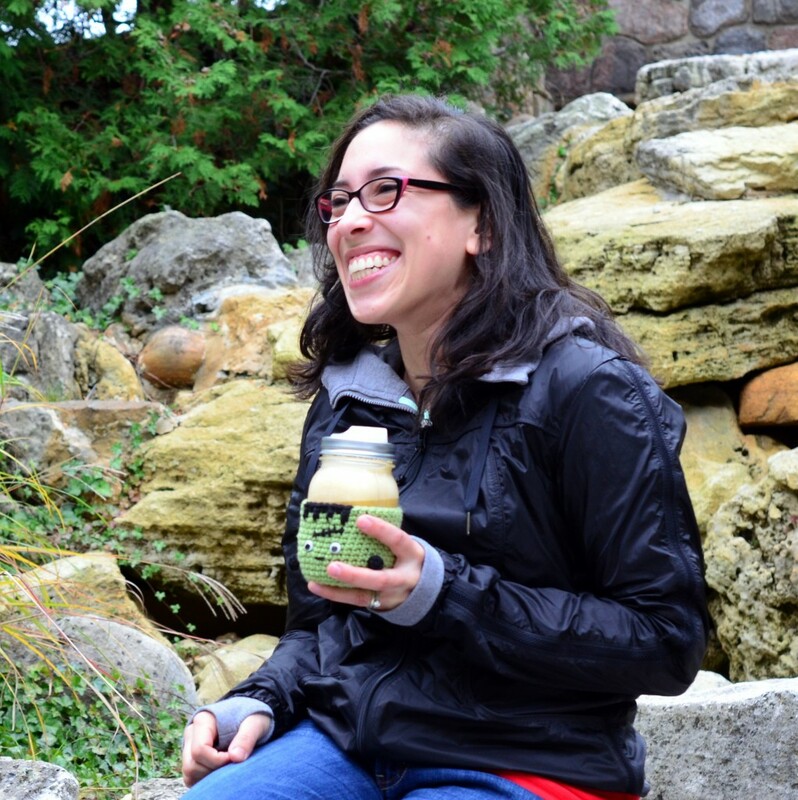 But you can probably tell I thoroughly enjoyed walking around drinking out of a cute mason jar. Ready to make your own mason jar cosy? 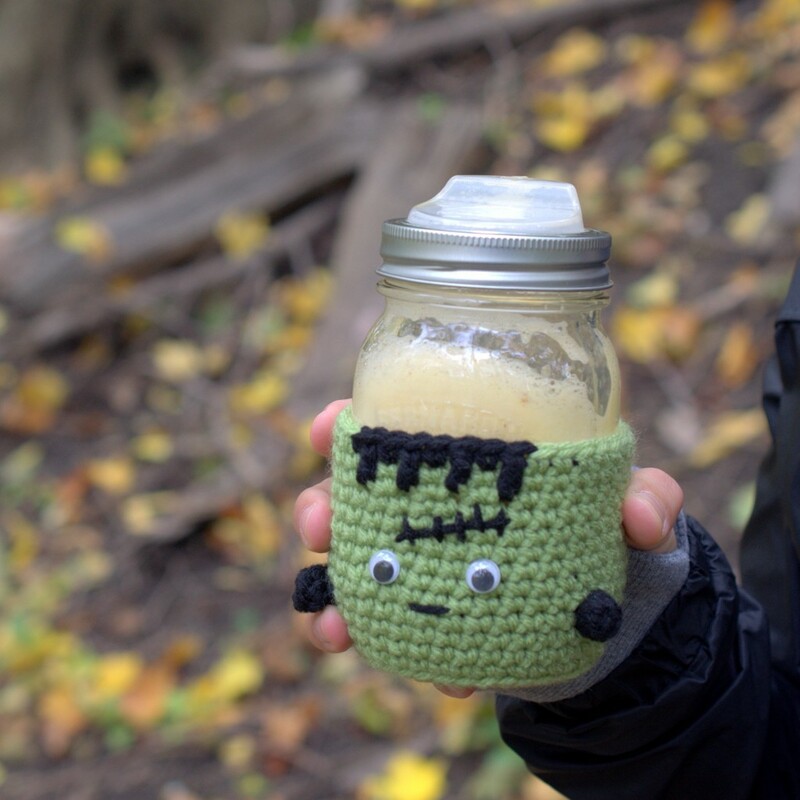 You can buy the PDF pattern for this Crochet Frankenstein Monster Mason Jar Cosy here in my Etsy shop!